Incident condemned by local group. A prime hotel earmarked as a reception centre for mainly African migrants has been damaged by fire for the second time. Fire previously broke out at the Shannon Key West hotel in Rooskey last month. Despite a critical lack of services locally, the government has said it proposes to house 80 migrants in the rural Leitrim hotel. 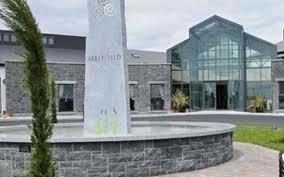 Currently, about 220 migrants or refugees are being housed nearby at the Abbeyfield Hotel in Ballaghaderreen. A hotel in Donegal which had been booked by the government to accommodate a further 100 migrants was damaged by fire last November. Locals calling themselves the Leitrim Roscommon United Against Racism group have denounced the Rooskey incident. 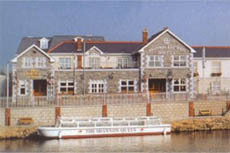 The hotel is located by the River Shannon, 14km west of Longford on the N4 Dublin to Sligo route. “Discerning guests will appreciate the comfort of our hospitality tray, garment press, hairdryer and satellite TV,” states the advertisement.